London: Allen Lane,. Hardback. 369pp. 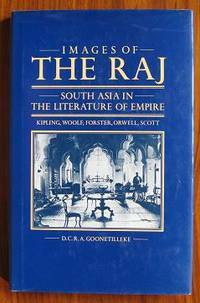 Includes chapters on Flora Annie Steel, Edmund Candler, Edward J. Thompson, Rudyard Kipling and E. M. Forster.Â Dark tan cloth wth gilt titles to spine. Bumped to spine ends. Dust wrapper is heavily sunned to spine and edges and somewhat rubbed. 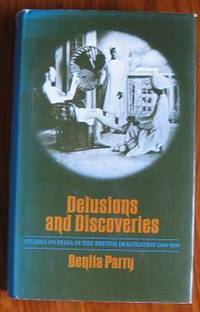 Very good copy in Good dw. . Hardcover. 1972. By Goonetilleke, D. C. R. A.
London: Macmillan,. Hardback. 181pp. Chapters on Rudyard Kipling, Leonard Woolf, E. M. Forster, George Orwell, Paul Scott. Blue boards with gilt titles to spine. light shelf wear to boards. Dust wrapper is lightly surface rubbed. Very good copy in very good dw. . Hardcover. 1988. London: Routledge Kegan Paul,. Paperback. 225pp. 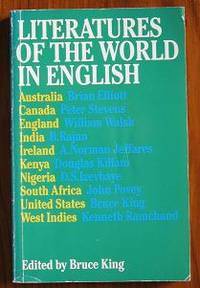 An overview with chapters on Australia, Canada, England, India, Ireland, Kenya, Nigeria, South Africa, USA and West Indies. Much rubbed to edges and with some superficial scuffing to surfaces. Binding is still sound. Good, sound copy. . Paperback. 1974.